Woohooooooo! My last BIG craft market of the year is coming up this Saturday & Sunday, December 8th & 9th – Got Craft. To be quite honest, I’m still not fully recovered from the awesomeness that was Make It Edmonton or the less awesome cold bug I brought home with me, but nothing can pull me out of my doldrums better than my fave craft show. I do most of my Christmas shopping (OK…and a lot of shopping for myself!) at Got Craft every year & this year I’m even more excited because it’s moving to a new venue. Yay! If you’ve been to the show in past years, you know the location at the Legion was a little small, wayyyyy too cramped & a bit of a nightmare to navigate (giant set of stairs? not so stroller friendly, let alone wheelchair accessible). 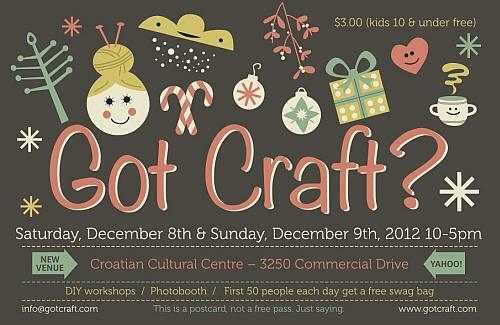 This year Got Craft is moving up the street to the Croatian Cultural Centre at 3250 Commercial Drive (@ 16th Avenue). That means lots more space for the super rad DIY workshops, more food & more fabulous vendors! Woot!!! 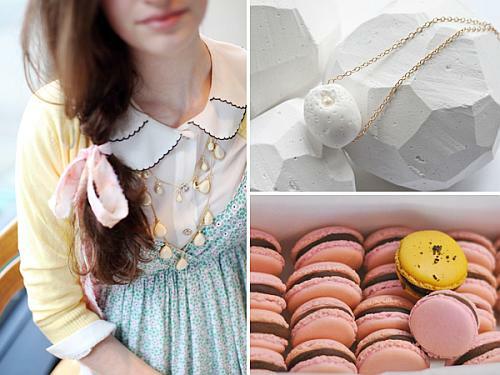 VanCity Buzz did a great article on a Got Craft gift guide! Check it out here. You can also see the full list of vendors here. Hope to see you this weekend! Previous postFirst Night of the Crawl!